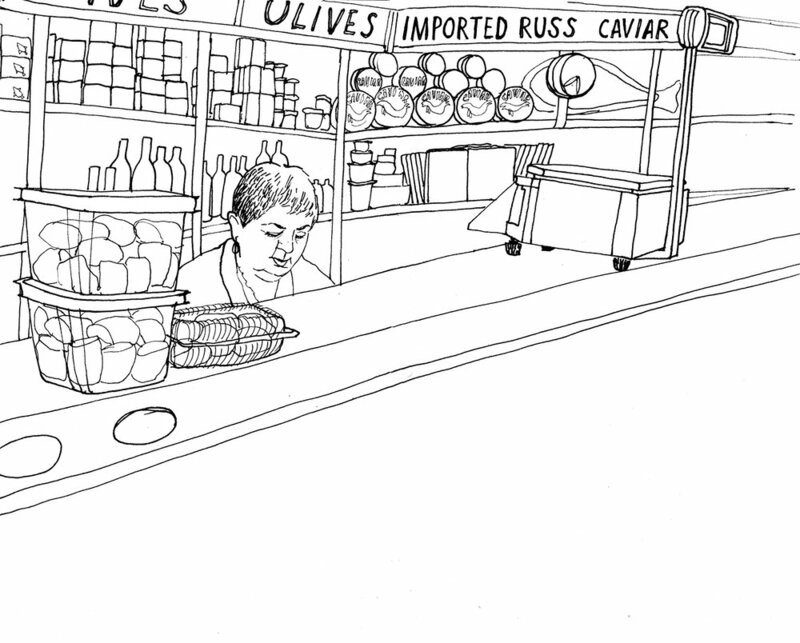 A narrative collection of drawings done on location at Russ & Daughters, a century-old appetizing shop in Manhattan's Lower East Side. A New York institution! 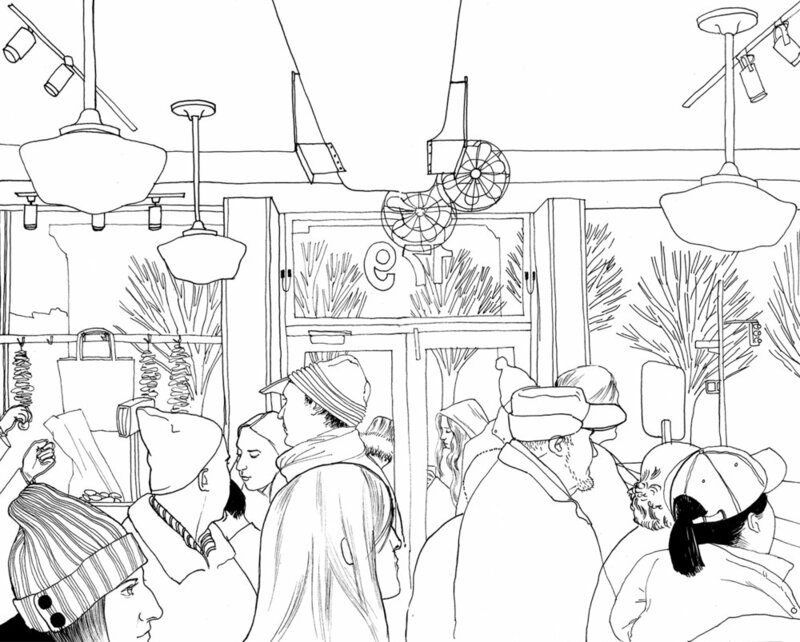 I worked with the Russ & Daughters team to adapt my drawing of the deli storefront into their postcard, which is included with the bill at their new restaurant on Orchard Street.